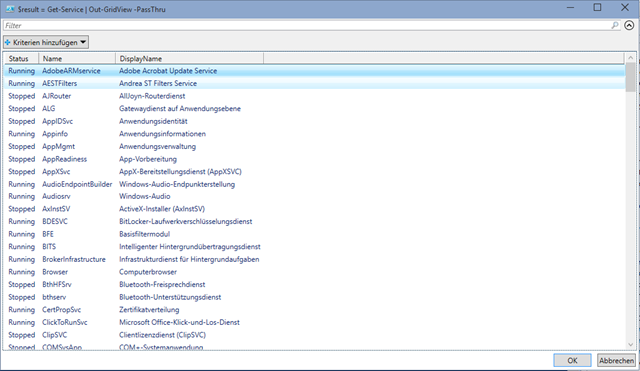 Recently, during the first meeting of our new south-german PowerShell Usergroup, Rolf Masuch showed us a nice feature which I didn´t know: Using Out-GridView as interactive filter. 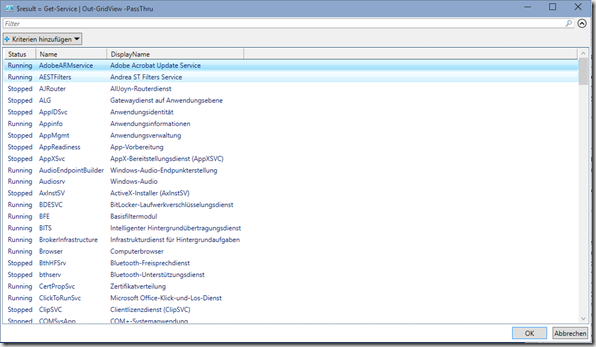 The magic parameter is –PassThru ! I think this is a nice little option if you have some interactive scripts.